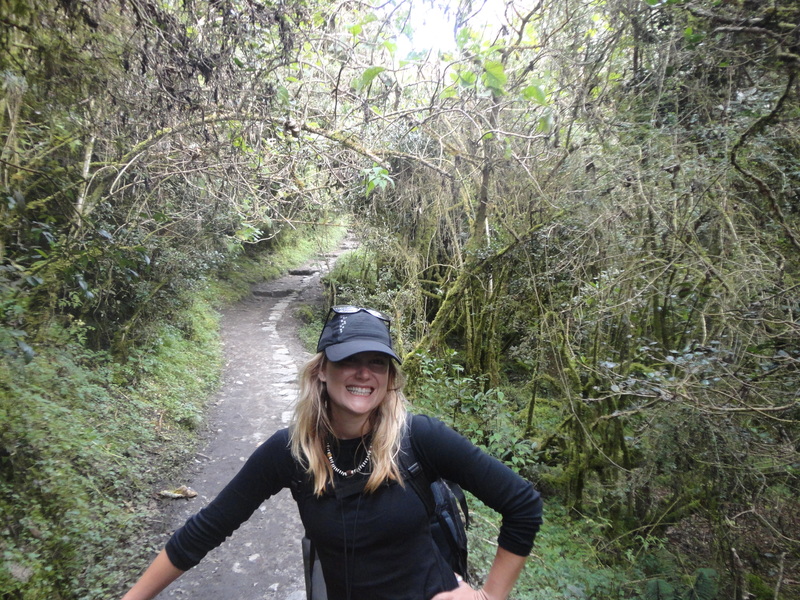 One of the funnest parts of my trip, the hike to Machu Picchu! I was on the verge of turning 30 and realized I hadn’t done many of the things I’d wanted to accomplish at this milestone in my life. At the top of the list: traveling around the world on my own, just me and a backpack. One day I decided I just had to do it. So I quit my job and became a traveler of the world, my entire life packed into a carry-on size backpack. After spending the year traipsing around Asia, Africa, and South America, I returned to the States with a newfound excitement for life. I know there are thousands of people out there who want to travel around the world, either on their own or with others, for a short vacation or a long trip, but don’t think they can. Hopefully my stories will inspire you to take the world trip you’ve always wanted! Biz – good for you! i’m all signed up and purposely used my work email so i can live vicariously thru you (or better yet, get motivated and encouraged to make big changes like you!). not knowing where you’ll be for your 30th may be great… KNOWING you won’t be at your desk Monday morning may be even better! all the best and be safe! Rdiz! very glad to hear you are reading and hopefully getting inspired :) i have tentative plans to be in bali the first week of sept – can you make a side trip there?! i would love to see you!!! Derek gave us your site address – it’s great! We think you made a good decision. Who knows where it will lead but it’s got to be better than your previous job. We will check your site from time to time – we don’t want updates, don’t do links/twitter/etc/etc because we rarely have internet access – just email. ted and joyce, i’m so glad you had a chance to read it! i do think it was the right decision. you are both very inspiring with your around the world retirement plan. i hope you are having a great time, wherever you are now in the world! Sonia, thank you so much for such nice words. If you ever decide to follow your dreams and travel the world, I hope I can read your blog! I nominated you for the Versatile Blog Award. Not sure if you’ve been nominated before or have the time for it…but wanted you to know I enjoy your blog! Also…Happy Birthday a week early! I think I sent a message to your e-mail by mistake…so if I did…ignore it! Thank you Sherry! I haven’t heard about the Versatile Blog Award before – what sort of time commitment does it require? I’m so glad you enjoy the blog. Your positive feedback means more than you know. And thank you for the happy birthday! randomly stumbled upon your blog and just wanted to say i think what you’re doing is awesome! it’s been a dream of my own for a while to travel the world. taking baby steps and spending some time in mexico this summer. anyway, thanks for showing me that it’s possible! you rock! Thanks so much, Gary, for such a nice comment! Mexico is a great start. I hope someday you get to travel the world. It is definitely possible – much more possible than it seems before you just do it! Great blog, Carly! It’s awesome that you did not get sucked into your job for life and broke away to see the world. I don’t have that option, but I get away whenever I can. Thanks for liking my semi-colon post! Carly, your new photos are on my Ambrosia Tattoo Gallery Facebook page. Another chapter in the adventures of Carly! Thanks Doz! A very fun continuation of the adventure. Geniales tus fotos del valle de elqui, soy Jorge de la agencia en La Serena donde tomaste el tour Fullday (Valle + Observatorio) con el guia Gerald. Muchos saludos desde La Serena- Chile. Wonderful blog of pictures and stories. Thank you for sharing your adventures. I’m leaving a comment hoping I can correspond with you via email. There are a couple of pictures on your website I would like to request permission to use.